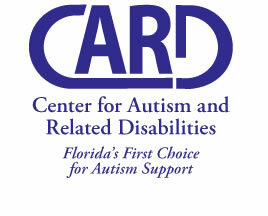 Select a region on the map to view contact information for a CARD site and resources near you. Counties serviced include: Broward, Dade, and Monroe. Counties serviced include: Indian River, Martin, Okeechobee, Palm Beach, and St. Lucie. Counties serviced include: Charlotte, Collier, DeSoto, Glades, Hardee, Hendry, Highlands, Hillsborough, Lee, Manatee, Pasco, Pinellas, Polk, and Sarasota. Counties serviced include: Brevard, Lake, Orange, Osceola, Seminole, Sumter, and Volusia. 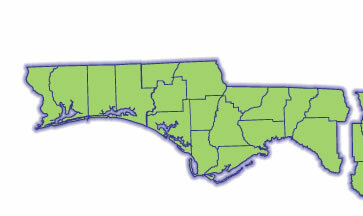 Counties serviced include: Baker, Clay, Duval, Flagler, Nassau, and St. Johns. Counties serviced include: Alachua, Bradford, Citrus, Columbia, Dixie, Gilchrist, Hamilton, Hernando, Lafayette, Levy, Marion, Putnam, Suwannee, and Union. Counties serviced include: Bay, Calhoun, Escambia, Franklin, Gadsden, Gulf, Holmes, Jackson, Jefferson, Leon, Liberty, Madison, Okaloosa, Santa Rosa, Taylor, Wakulla, Walton, and Washington.